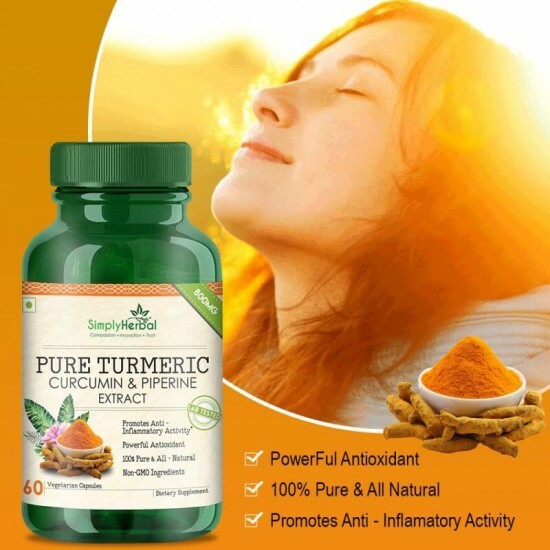 Word Curcumin Is Associated With a Yellow Pigmented well-known Spice 'turmeric (Curcuma Longa)" and Obtained From the Rhizomes. In Many Parts of Asia, Turmeric Is Used to Treat Many Health Ailments Since It Shows Potent Anti-inflammatory and Antioxidant Properties and Well Known in Ayurveda Since Ancient Time. 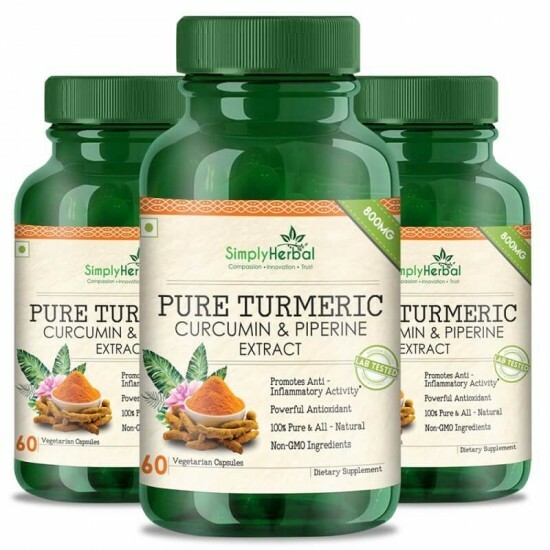 The Simply Herbal Curcumin Includes 95% Curcuminoids (Curcumin, Demethoxycurcumin, and Bisdemethoxycurcumin) the Most Potent Compounds in Turmeric Root. Ingredients: Curcumin Extract with Piperine. It Is Formulated Exclusively According to the Body's Requirement and With the Help of Piperine It Becomes 2000% More Bioavailable for Maximum Absorption. 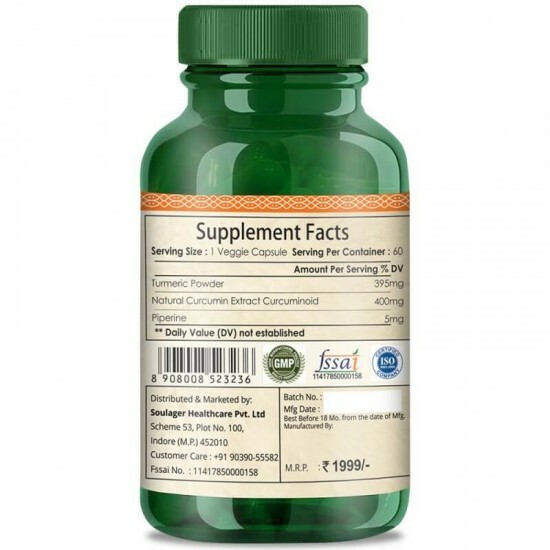 It Comes in a 100% Vegetarian Capsule and Is Pure Product, Free From Preservatives or Other Unnecessary Ingredients. 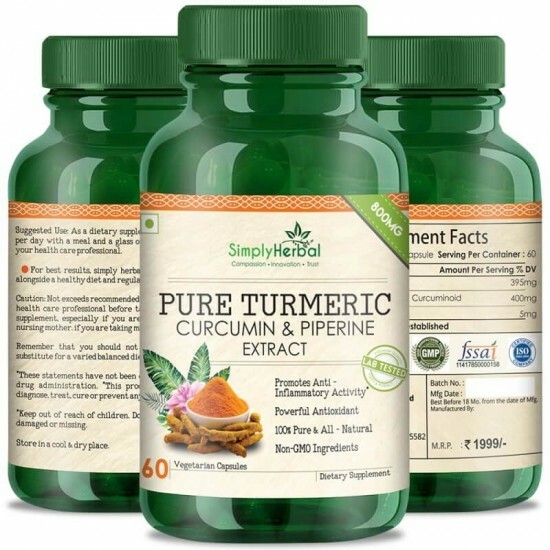 Our Enhanced Formula Delivers Curcumin Complex Added Piperine Per Serving Includes 95% Curcuminoids and 95% Piperine, the Most Potent Compounds in Turmeric Root With Powerful Antioxidant Properties. Suggested Use: As a Dietary Supplement, Take-Two Capsules Per Day With a meal and a Glass of Water, or as a Directed by Your Health Care Professional. 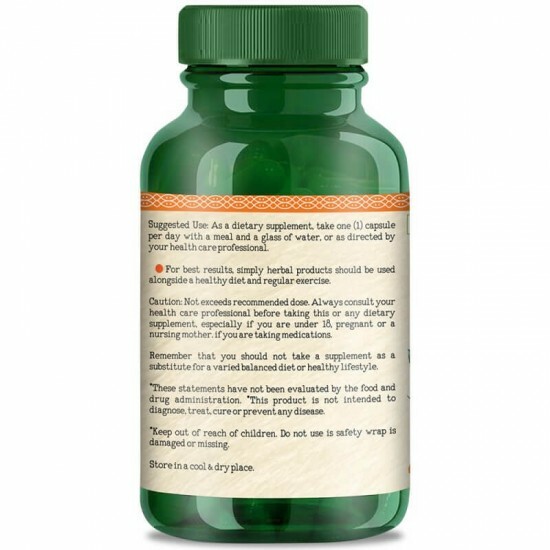 For Best Result Simply Herbal Product Should Be Used Alongside a Healthy Diet or Healthy Life Style.